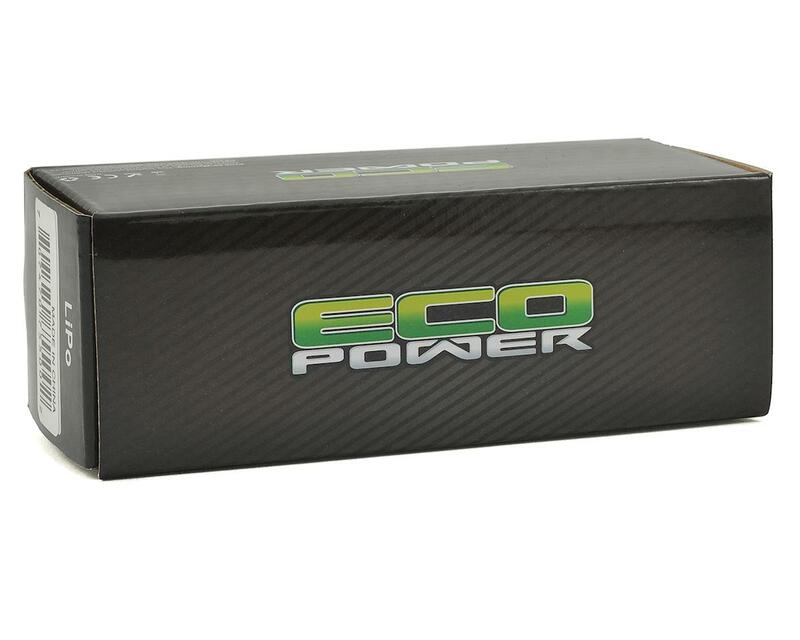 This is the EcoPower "Electron" 3S 5000mAh, 50C Lithium Polymer battery pack, with a T-Style connector. This pack includes an integrated balance charge lead with a Deans style T-plug installed for a convenient connection capable of handling high amp rates. While the 3-pin Align/E-Flite style XH balance connector provides compatibility with one of the most common varieties of balance tap connection. NOTE: When using high energy Li-Polymer Batteries, please do not over-discharge or over-charge batteries as this will result in over heated batteries. Discharging capacity can't exceed 80% of the max capacity of the pack after full charging to ensure a good cycle performance. It is recommended to fully charge a brand new battery before using and only discharge the battery 50% for first 5 cycles. 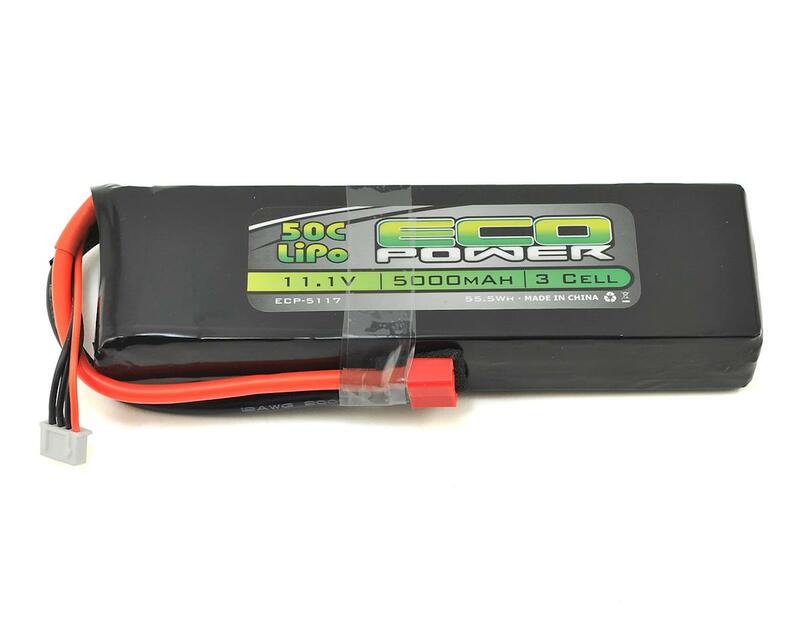 Always monitor race time and/or set a low voltage warning on ESC (End voltage cannot be lower than 3.2v per cell) Do not use the battery that has too low a voltage.